"Nothing like a cuppa on a traffic-less morning!" This entry is especially dedicated to coffee fans and to those who have yet to pick up the art of sipping this black gold. The first time I heard about Anomali Coffee was 2 years ago. Not only do they serve fine local coffee and unique flavours, what impresses me even more is this establishment 100% founded & run by Indonesians, hence its motto "Kopi asli Indonesia". 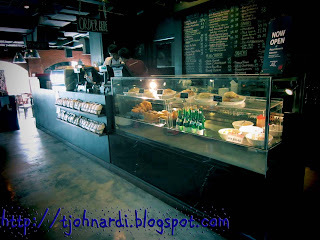 Albeit not the first outlet, my favourite is located at Setiabudi One. Nestled right above its competitor (Strabuck's Coffee), Anomali stands solid, attracting discerning coffee lovers from far and wide, including me who actually lives not so nearby. This outlet has plenty of glass windows, lending the place an environmentally friendly form of illumination. 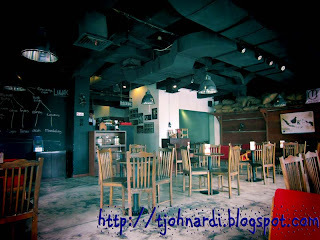 Decor wise, urban grunge atmosphere is amplified by the majority play with dark colours (black & red) and the visible ventilation pipes at the ceiling. Although it is local, don't expect the price to be anything less than its internationally renowned competitors. But I'd say it's a fair trade, for the quality coffee it serves. 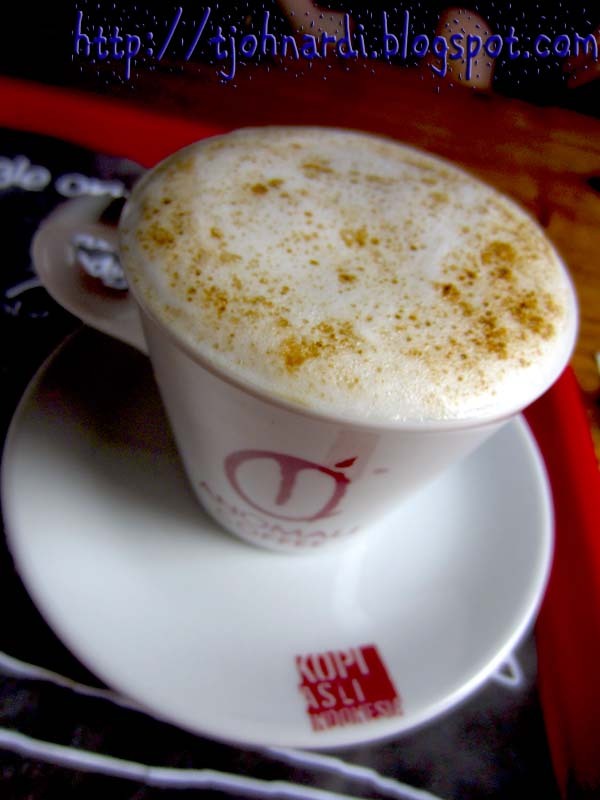 This foam in the Irish Banana-nut Latte is sprinkled with banana sugar (I think). Because when you sip in the brownish spots of the foam, you could tell the distinct banana scent. 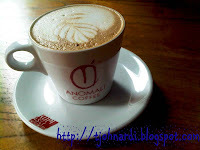 For the love of fine Indonesian coffee, Anomali earns 4 out of 5. Bravo! Though I don't get coffee, your photos and review pulls me so much to give this joint a try. 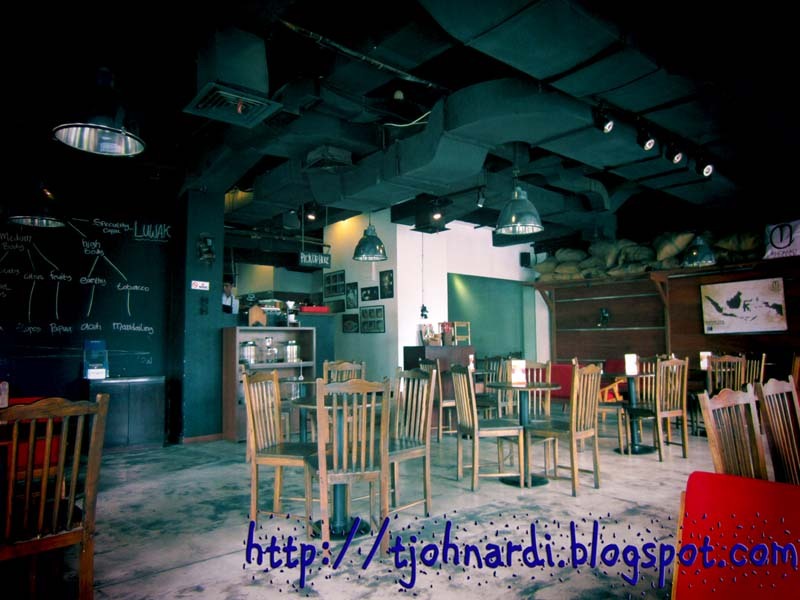 Anw, how to subscribe to your blog?